Cylance Pro Cycling has announced the signing of Joëlle Numainville, who rode with Cervelo Bigla for the past two seasons. Numainville will join a stacked squad of talented riders, including the return of Sheyla Gutiérrez. With the continued fortification of the team, Cylance Pro Cycling will target global success. Known for her fast finishes and overall capabilities, Numainville, 29, brings additional firepower to the 2017 Cylance Pro Cycling roster. 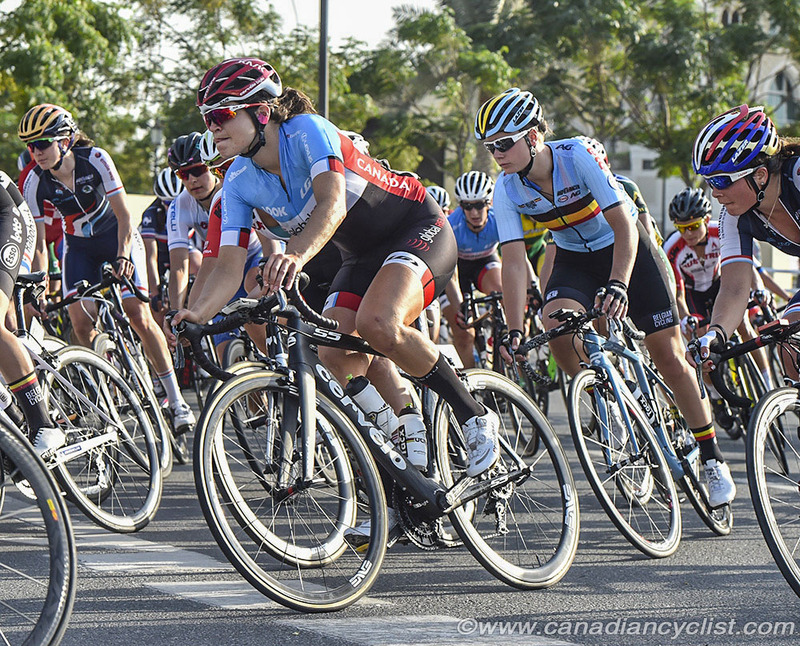 Numainville finished ninth at last week's world championships in the women's road race, as well as representing Canada at the 2012 Olympic Games and has been Canadian National Road Race and Time Trial Champion as well as Pan American Champion. Her incredible all-around capabilities are evident in her ability to find the podium at a variety of the world's hardest races such as Tour of Flanders, Tour de l'Ardeche, Philadelphia Cycling Classic, Winston-Salem Classic and GP Pluoay. Numainville worked with Manel Lacambra, Director Sportif of Cylance Pro Cycling, previously and knows that a solid team environment contributes to success. With the completion of the UCI World Championships in Doha, Qatar, Cylance Pro Cycling showed they have solid sprinting power enlisted for the 2017 season with three riders in the top 10. It was a close finish, with Cylance Pro Cycling's latest signing, Kirsten Wild, securing the silver medal in the road race. Numainville finished 9th place, just behind Gutiérrez. By investing in current riders and augmenting the roster with additional horsepower, Cylance Pro Cycling will be able to achieve results and inspire growth for women's cycling worldwide.